Poor flexible duct installation can strangle the duct or even cut the outer jacket of the duct leading to poor performance and inefficiently of the system that will significantly increase running costs. With energy costs continuing to rise sharply, this can lead to higher expenses than planned or anticipated. 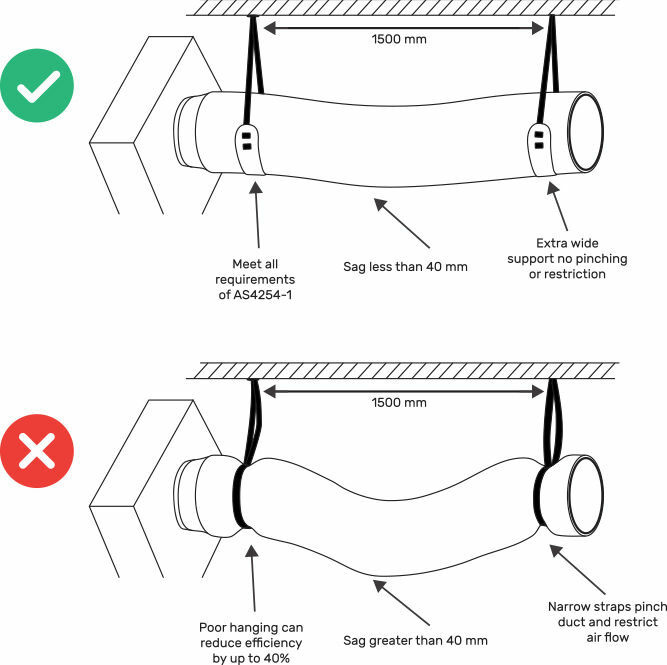 Studies have shown energy losses of up to 40% in the performance of systems when flexible ducting is poorly installed. 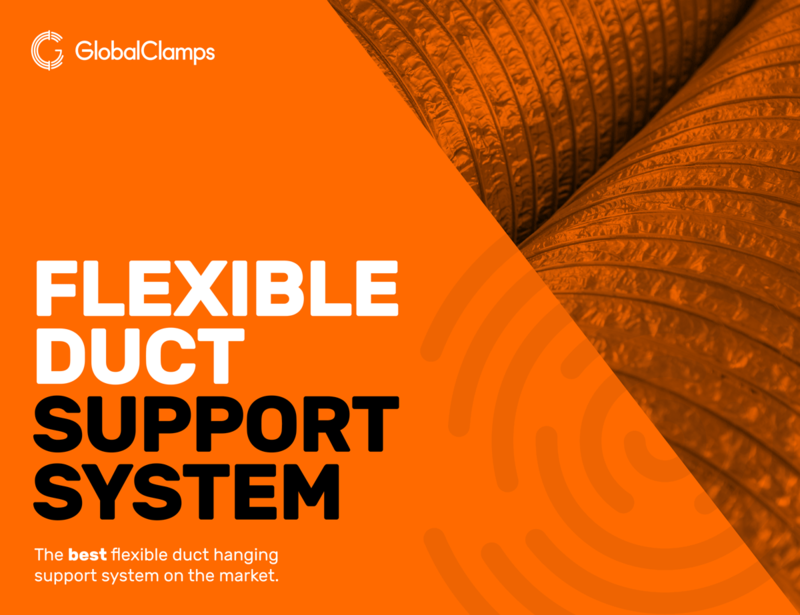 The Global Clamps Flexible Duct Support System (FDSS) is here to change that. The FDSS ensures efficient operating for your ducted heating and cooling systems when installed correctly and in accordance with standards. For more information or to order the FDSS, please contact the team at Global Clamps.